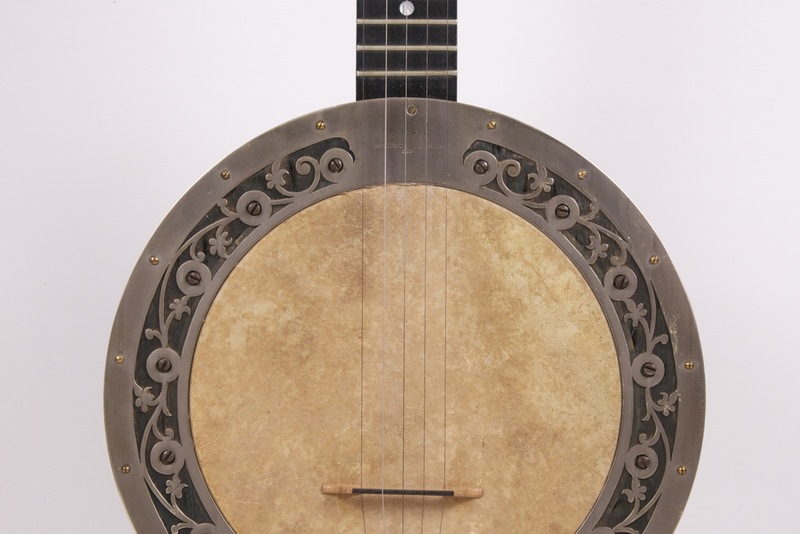 Five string banjo, closed back, walnut neck, fingerboard inlaid with mother-of-Pearl, engraved tuning machines. 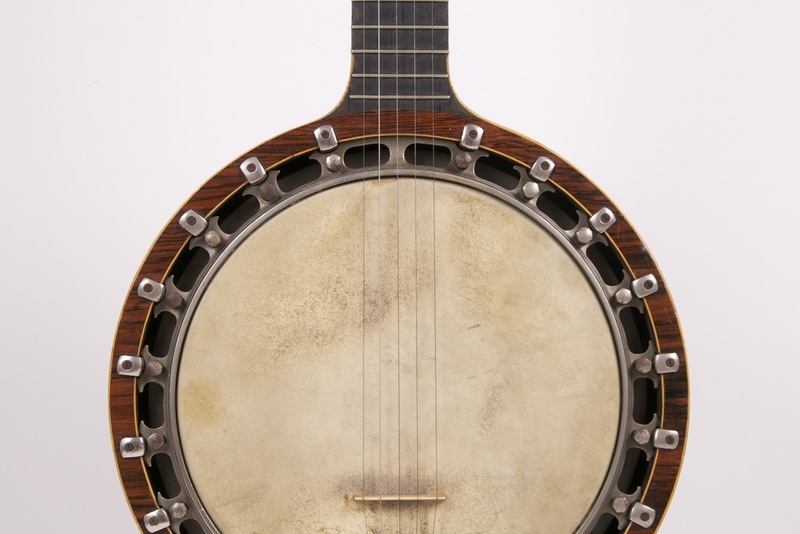 Five string banjo, closed back, walnut neck and rosewood body, fingerboard inlaid with mother-of-Pearl. 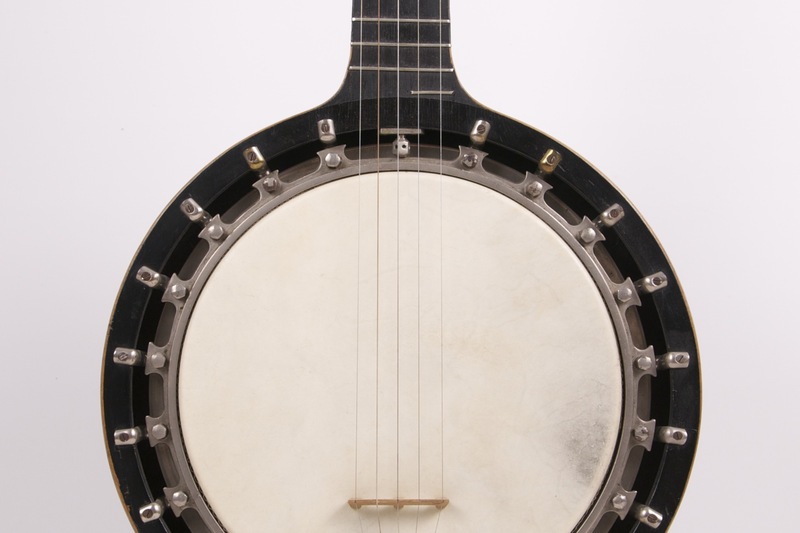 Five string banjo, closed back, walnut neck and rosewood body, ebony fingerboard inlaid with mother-of-Pearl, engraved brass tuning machines with ivory buttons. 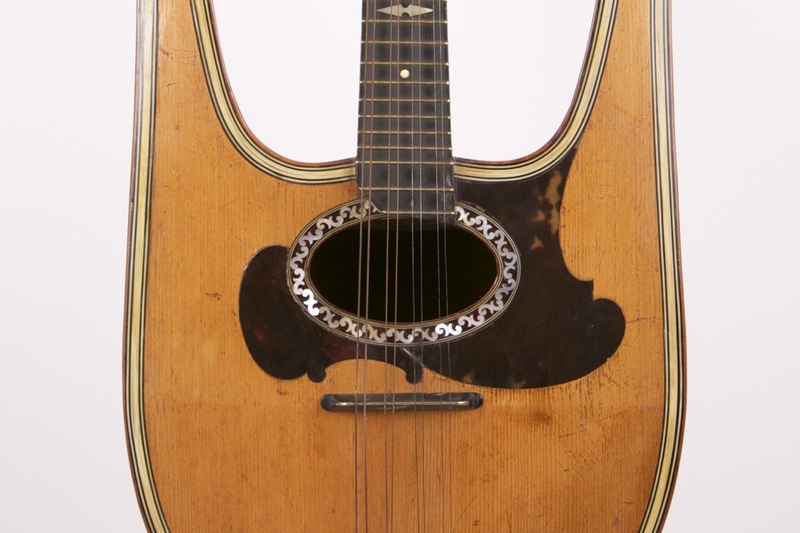 Rosewood body, spruce table, 50 rosewood flat ribs, neck and head platted with rosewood, pickguard made of tortoiseshell, fingerboard in rosewood inlaid with mother of pearl, covered mechanicals with bone buttons.